Urmila Mohan is a postdoctoral fellow at Amnh-Bgc, currently researching the aesthetics, materiality and history of textiles collected by Margaret Mead and Gregory Bateson in the 1930s in Bali. According to Jewish tradition there are three kinds of peace offerings. The votive offering (as distinct from the thank and free-will offering) is defined as something that is prompted by gratefulness on a desire or petition being fulfilled. The votive offering is connected with the expectation of a benefit to (acts of) piety and is not completely voluntary since it lacks the spontaneity of the free-will offering. The significance of the thank-offering is wider than the votive and free-will offering and is a response to divine beneficence. Clearly, the issue of intentionality (and anticipation of reciprocity) is important in distinguishing these three kinds of offerings. The issue of intent is more elusive in Donna Ruff’s art, featured on the Material Religions blog with the title “Paper Offerings: Judaic Themes in the Artwork of Donna Ruff”. While raised with aspects of Jewish culture and practice, Ruff does not identify as a Jewish artist, so how does one contextualise the idea of ‘Judaic’ resonances in her book art while moving away from traditional definitions of a votive? 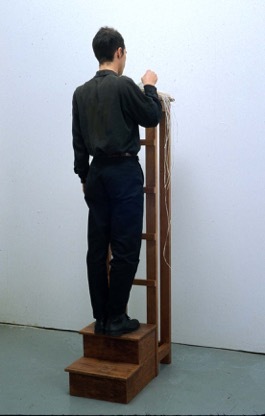 Instead of trying to map Donna’s artwork onto the normative framework described above, it might be more productive to consider it as ‘votive in offering’, where the temporal and unfolding nature of the votive/offering is emphasised through states of material ‘doing’ and ‘undoing’. Via repetitive (and almost meditative) acts of cutting, singeing and assembling, Ruff’s paper offerings become both poetically and affectively charged as well as gaining their formal impact. 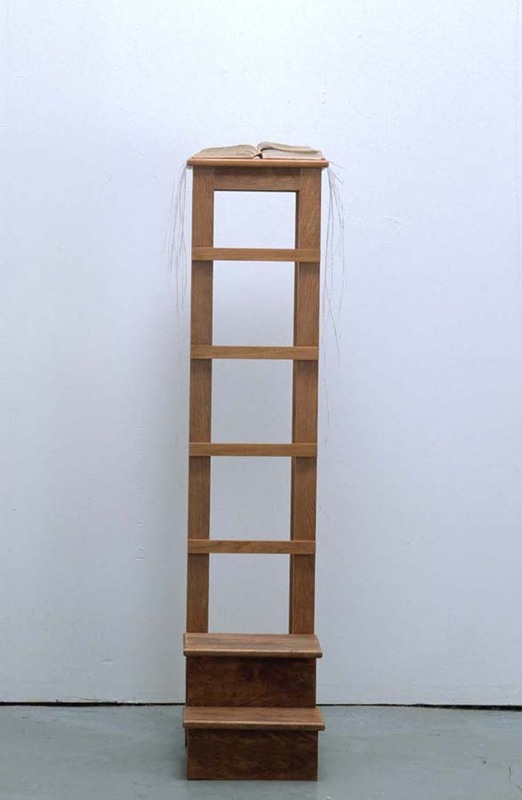 “Paroles Perdue” (Lost Words) artwork as it stands alone and in the process of being read. 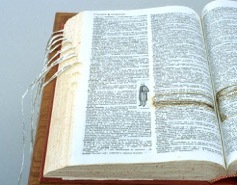 2002, 50’ x 30” x 20”, dictionary, gampi paper, wood.